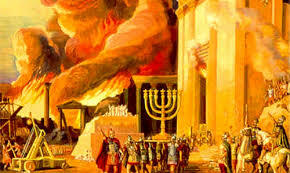 Tisha B’Av, the fast day commemorating the destruction of the two Temples of the ancient Jewish people, is the longest, slowest fast of all. Twenty-five hours of mourning practices, restrictions on joy (even a prohibition to greet people), and the most gruesome, tragic liturgy in our canon are legislated in the halacha of the day that just ended a few hours ago. Over the years, I have struggled to assign meaning to the day as I sat on the floor to chant Eicha (Lamentations), refrained from tallit and tefillin at morning services, and of course, did not eat or drink through a hot summer workday. 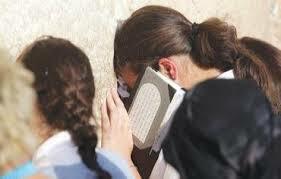 I have tried focusing on the Jewish command to hear text and experience it as if we were there. I have studied history on Tisha B’Av to realize that Jews are not the ever-dying people but rather the never-dying people. I have used the intention that just as in the days of the Temple, we Jews have repair work to do with regard to sinat chinam, senseless hatred, and lashon hara, evil speech. When Tisha B’Av began last night, the congregations of the Rockland County Board of Rabbis came together as we have done for the past three years. We met last night at Montebello Jewish Center where it felt like a gift to be together with so many fellow Jews. This year, like many of you, I was exhausted with grief before the sun even set to begin my fast. I was saddened by stories of families in the south of Israel whose lives have been traumatically interrupted for weeks and weeks by Red Alert sirens. I had been crying every time I read another eulogy for another soldier written by his mother. (How do Israeli mothers manage to do that?) I was exhausted by the biased angle of so many news articles and reports. I was distraught by the clear evidence of a terrorist organization that inhumanely proved its truest colors by devaluing the lives of Israelis and Palestinians alike. I was appalled by the sheer evil of building terrorist tunnels instead of hospitals and schools. I was frightened by the ongoing news of rampant anti-Semitism in Europe and the emigration of hundreds of thousands of Jews from there. Before I even began, I didn’t have the energy to make any sense of the mourning of Tisha B’Av. And then Rabbi Adam Baldachin of Montebello Jewish Center opened the services for Tisha B’Av by saying that this day is different from every other day on the calendar. “We always take action,” he said. “But on this day, we just allow ourselves to feel grief.” His explanation gave me permission to do exactly what I needed to do this year on Tisha B’Av: nothing. No meaning-making. No action plan. I just grieved. Now the fast is over. Blintzes and bialys have been enjoyed. As the day ended, so did my feelings of intense grief. Not so much has changed in the world since one day ago. But I feel a sense of relief after having submitted to the emotion of grief. Judaism, in its wisdom, carves out moments of time for us to be in the throes of the difficult emotions we need to feel. And then the day ends. Judaism puts boundaries around our grief. We are safe to enter in and then leave the construct. Beautiful essay Rabbi Paula…. Why would you think, then, that the Rabbis of some of my patients are more lenient with regard to fasting on Tisha B’Av vs. Yom Kippur (for my pregnant patients)?